We alleviate worry. We solve problems. We are cyber warriors - tried and true. Chiron Technology Services, Inc. is a leading cybersecurity firm that provides government, financial and healthcare clients with customized training and services to prevent, detect and respond to cyberattacks. Founded in 2004, Chiron (pronounced "Kai-ron") is a veteran-owned company, comprised of a team of highly experienced and accomplished warriors who have years of real-world experience fighting cyber-attackers on the front lines. We consider it an honor to work with our clients, and are fully committed to going above and beyond to identify, prevent and solve problems. 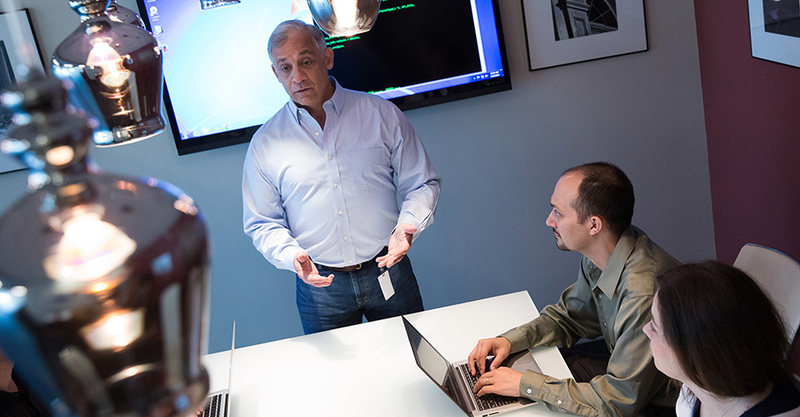 The Chiron team has served as a top advisor for the U.S. Military for more than a decade - we are the people the DoD calls at 3:00 a.m. to handle cybersecurity concerns. Today, organizations suffer from the misconception that "they" are not a target for a cyber-attack. Unfortunately, this is not the case and suffering an attack can be debilitating to a company's finances and brand trust. Simply downloading the most advanced software will not protect against today's advanced cyber threats. Our comprehensive suite of cybersecurity offerings prepare clients to successfully respond to rapidly advancing threats, and we are constantly evolving to meet the demands of our clients by anticipating new risks and designing innovative solutions that set the trends for the industry. Our ultimate goal is to eliminate the worry for clients so they can focus on running their businesses. Chiron takes a results-driven approach to cybersecurity. By working with clients on an individual basis, Chiron's clients can run their businesses without worrying about cyber threats. Chiron's cleared instructors are equipped with years of experience and challenge students with scenarios based on today's dynamic cyber environment. We provide insight into the mind of an attacker and the ability to identify weaknesses and points of entry in any system. Chiron's Cybersecurity Model is a 360 degree methodology, facilitating critical thinking, adversarial emulation, evolving and emerging threats, and advanced technology. Chiron does not simply deploy software and generate report findings. Instead, Chiron is on the frontlines, battling attackers and protecting information.